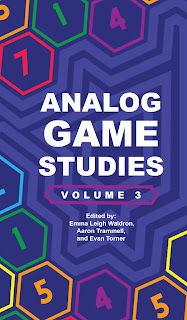 The third volume of the Analog Game Studies journal was just published by the ETC Press. The full book can be downloaded for free here in PDF. Among other articles and essays on analog games, there is also my piece about Magic: The Gathering, which focuses on a critique of the computational essentialism of platform studies. This article was previously published in the online version of the journal in 2016 (link). The third volume was edited by Emma Leigh Waldron, Aaron Trammell, and Evan Torner. 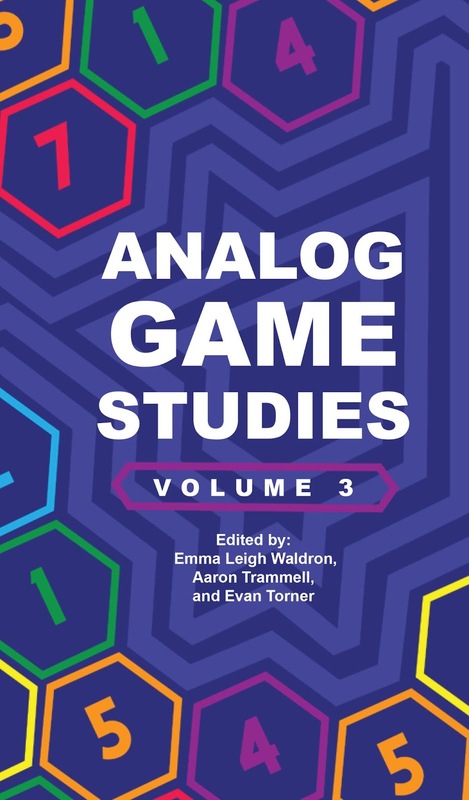 Analog Game Studies is a bi-monthy journal for the research and critique of analog games. It defines analog games broadly and include work on tabletop and live-action role-playing games, board games, card games, pervasive games, game-like performances, carnival games, experimental games, and more. all posts approved by snewgoblin. Simple theme. Powered by Blogger.